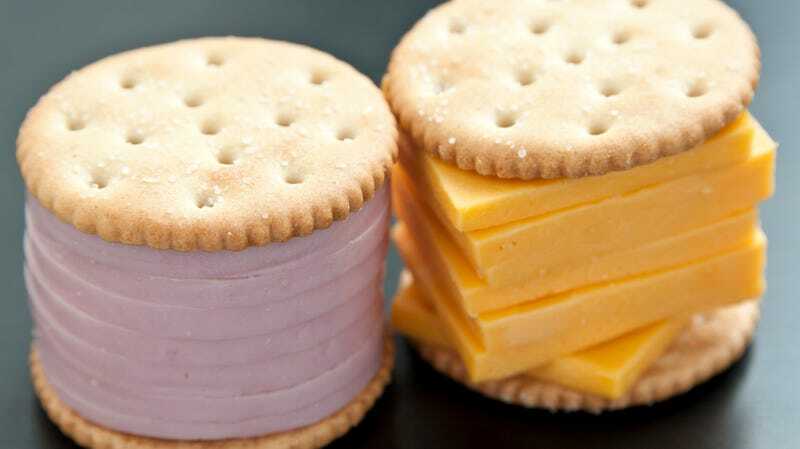 Nearly everyone under a certain age has some sort of memory associated with Lunchables. In our morning Takeout staff meeting, for example, editor Kevin Pang rhapsodized about the joy of building and stacking his own Lunchable sandwiches as a kid, predicting his own future as an engineer. That prediction didn’t exactly pan out, although it did foreshadow the Takeout editor’s food obsession). But kids like Kevin helped kick off the brand: As the Lunchables brand now turns 30, The Atlantic takes a look back at the still-popular school lunchbox option. Possibly because these lunch kits are giving kids what they want: Previous healthy Lunchables adds like yogurt and apples have been discarded in favor of today’s lineup of Capri Sun pouches and Oreo and Kit-Kat desserts. Still, Lunchables’ protein-heavy main course likely appeals to parents looking for more ready-made fuel for their kids. And on an exceptionally busy morning, tossing a Lunchable in a backpack somehow seems infinitely easier than pulling a sandwich and snack together, making for a winning parent-kid combo over decades. For more on the Lunchables success story, check out The Atlantic today.